There are lot of clinic is running in the market for hair loss or we can say non surgical procedure. Here we also running a Best clinic in the faridabad area. People who want instant result for any type of hair loss or even they don't want to spend so much amount. Wigs in Delhi is offering a unique & different technique which calls Hair Weaving in very low rates. 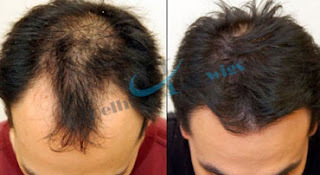 Every People can think for this non surgical treatment of hair. Hair Weaving is a harmless treatment for the head. Any type of surgery are not required to do this Hair Weaving. Firstly we measure your bald area and take a size of your scalp then fixup the natural human hair on your scalp area. After this then we provide you a customized look whatever you want. Hair Quality we are using that is 100% human hairs. We are giving the Hair Weaving in Faridabad, Gurgaon & Delhi.